Pamela Angwech on Art+Design from Andreas Nicholas on Vimeo. Art + Design in development: These are words that I never imagined a development professional using in the same sentence to describe the future of their work. Fortunately for me, I found an exception. Pamela Angwech is the executive director and founder of GWED-G (Gulu Women’s Economic Development and Globalization). I asked her about what role art, design, and media could play in development, and here’s what she had to say. According to Pam, what the development field needs most are better methods to communicate stories and impact. And I don’t just mean this in the conventional marketing sense. I mean, communication in all senses: externally and internally, within the organizational structure and its programs. If development organizations were to adapt the methods of storytelling that artists and designers use, just imagine how far reaching the impact would be. Not only would the world understand these organizations and their work better, the organizations would understand themselves better. In turn these organizations would have the ability to think more critically about where they are putting their time, passion, and energy. Check out Pam’s full response in the video above. But in truth, I wasn’t exactly sure how to explain what I would be doing. Both TIDES and I know that me being here is an experiment. So, I began to explain it by telling little stories like this: TIDES is seeking a better way to integrate the different types of sustainable technologies currently used in Humanitarian Aid and Disaster Relief situations. So, for example lets suppose that Sergeant Henderson’s team is helping transport X, a product, system, or a service to Benjamin. Benjamin lives in a refugee camp. He might live there for a few days or up to 7 years, which is the average amount of time spent in a refugee camp. So, let’s say that by the time Henderson and Co. pack up and leave, X product, system, or service has been used/consumed/ or broken. So the question now becomes, how can Ben refill/reuse/ or re-purpose X? Sounds daunting? Human lives are at stake. Complicated? How do you know which technologies will be useful? On an unfathomable scale? Disasters caused by global environmental changes are expected to increase. The thing is, within the military it hasn’t been any one persons job to address the life cycle of relief aid. 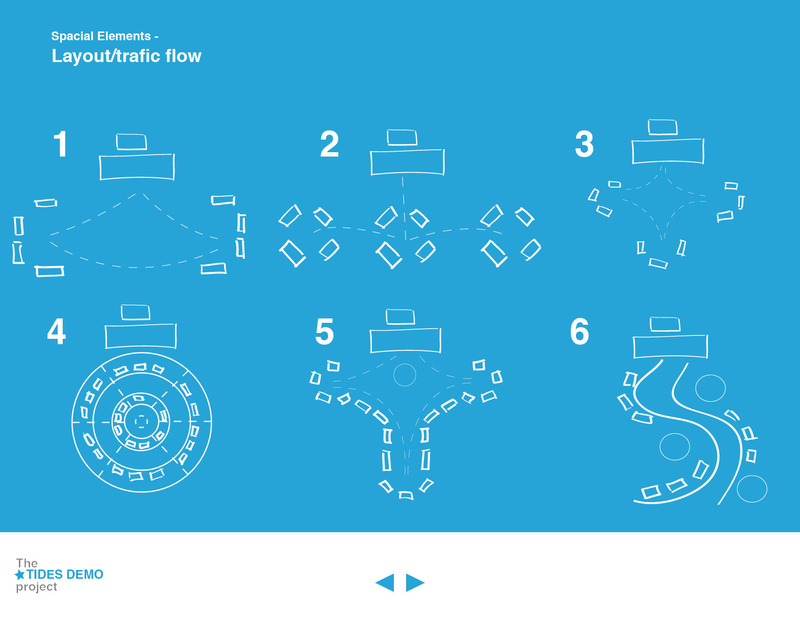 The scenario I described is THE 64 million dollar dream, the holy grail of design solutions. Yet the quest for this type of functionality indicates the military’s shift in approach from simply defending lives to sustaining them instead. So, it is with these issues in mind that I will be working to coordinate the STAR-TIDES yearly field demonstration at the Fort McNair Army base. 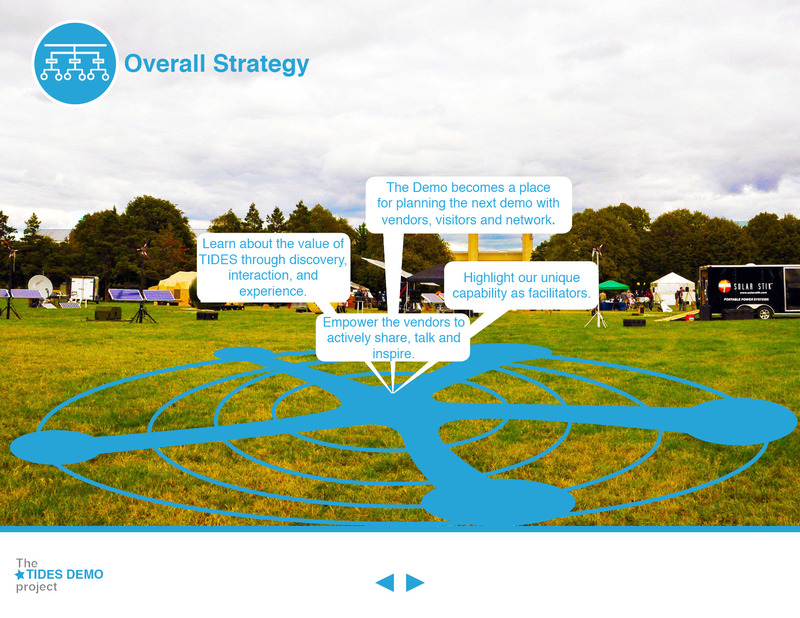 During the week-long event vendors demonstrate how their products actually work in the field. In years past, the demo has been completely off the electricity grid and has featured snacks cooked in solar cookers and coffee purified on-site using solar energy. 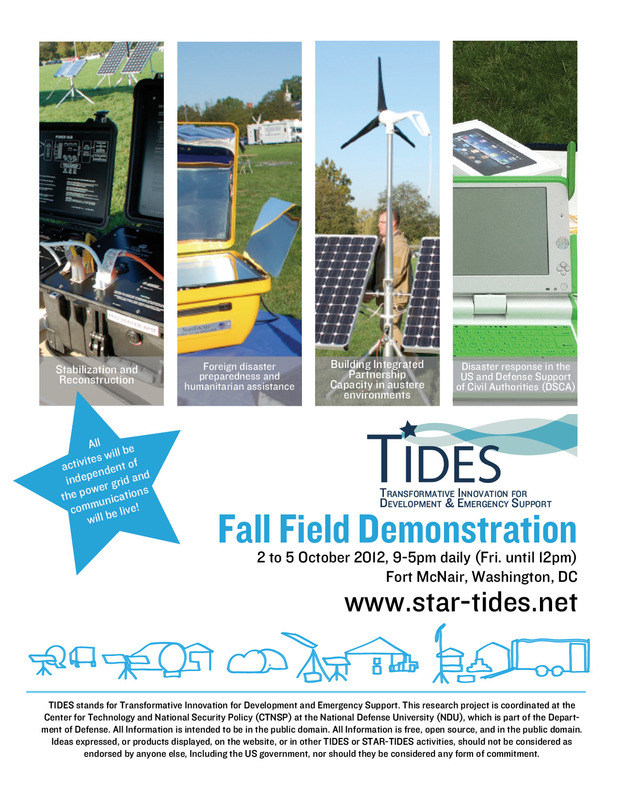 If you’re in Washington, D.C. October 2-5th, you should check the Demo out – I’ll give you a tour! Every morning I pass through the security gates, I swipe my badge. It kind of reminds me of my old RISD ID. In a similar fashion, the badge has my name and picture on it and when I wear it, it makes me feel like I belong with a group of people who’s sole mission, whose actual directive it is, to save lives. And for a moment, I am able to look past the pomp and circumstance of the regalia, flags and shoe shine to recognize that though we may be on different teams, we are definitely on the same mission. Most people assume that designers work in design firms on designer products for designer clients, including most designers themselves. But to anyone who’s paying attention these days the tides (not to make a pun) are turning. Now when people ask me about what I’m doing this summer, I say “I’m introducing a government agency to design thinking”. When I first secured an internship with the Mayo Clinic Center for Innovation, I had no idea what it would actually mean to spend a summer in Rochester, Minnesota. I’d spent my life rooted firmly on the East coast, so naturally I turned to wikipedia to learn about my new home. 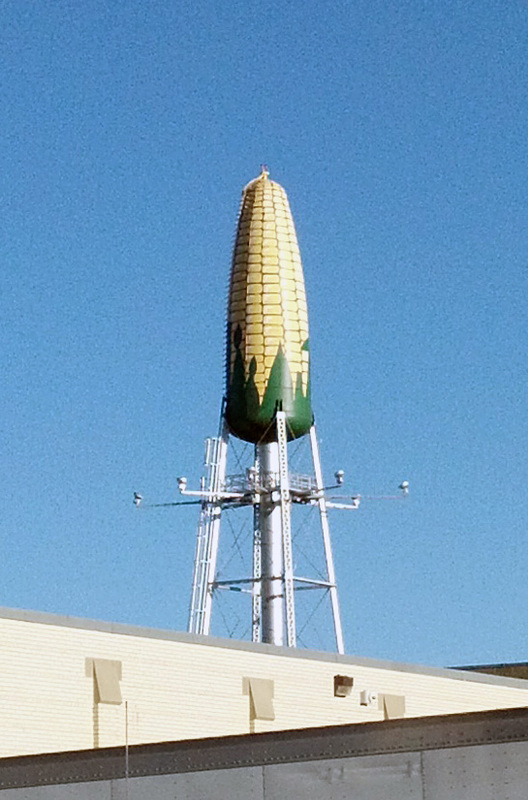 I discovered that the city of Rochester has a population of 106,769, is one of only four counties in the entire “Land of 10,000 Lakes” without a natural lake, and is home to the renowned Ear of Corn Water Tower . The next step in my Minnesota education was watching Fargo, a Coen brothers movie filmed in a small Minnesota town much like Rochester. That might not have been the best film choice, since after watching it, I was fairly certain that I was going to meet an unfortunate end in a wood chipper like one of the main characters. With this research in my pocket, I boarded a flight to Rochester to begin my Minnesota adventure. I took my first steps on Minnesota soil after disembarking from the smallest plane I’d ever flown on and walking through the smallest airport I’d ever seen– and stepping directly out into a cornfield. Welcome to Rochester, Minnesota. The inkling of thought that first struck me in that cornfield later grew into one of my biggest realizations about my new home. Although Rochester is technically a city, its inhabitants strongly adhere to a small town mentality. The first indication of this is the three coffee shops within walking distance of downtown Rochester. One is a Starbucks that closes at 6 on weekdays and 3 on Sundays. One is hidden somewhere within the Marriot hotel. And the third is a chain called Caribou Coffee where I spend the better part of my Sundays. The nightlife in our fair city closes down and locks up at midnight sharp, and while public transportation exists, I have never actually heard of anyone using it. The best part of Rochester is the people who choose to live here. They’ve taught me that there really is such a thing as “Minnesota Nice” and that, likewise, there’s also something I’ve dubbed “Massachusetts Mean”. One of the hardest things for me to grasp was that Minnesotans really want to share and give things away. Whether that means giving compliments to strangers (I’ve been stopped three times on the street and told, “You look gorgeous this morning”), or giving food to friends, they always want to leave you with more than you came with. One of my coworkers hosted a party at her house, and on my way out the door, despite my protests she loaded my arms with leftover strawberries, Cool Whip, pizza, two unopened beers and peaches from her pantry that weren’t even being served at the party. I experienced similar generosity from a friend’s yoga instructor. A few minutes after meeting the yogis, I told him how much I admired the meditation beads he’d crafted. He immediately removed them from his wrist and offered them to me. I told him I didn’t want to take his beautiful beads to which he responded, “You’re not taking them, I’m giving them to you.” After that answer, I felt as if I’d been thoughtlessly rude and accepted the beads without further dissent. You must understand that I’m a born-and-bred New Englander to the core. When people offer me things, I assume they’re just doing it to be polite. The worst thing a New Englander can do is be a burden to a friend, and so back home in Massachusetts, it is much better to decline something honestly offered than to accept something offered out of politeness but that will be sorely missed. Here, however, people really genuinely just want to share and go out of their way to be nice. At the farmers’ market in Rochester, I once asked a vendor if she sold spearmint seedlings. She said, no, but there were plenty in her home garden and I should stop by and dig up a few. She promptly wrote down her address, and when I asked how much she’d like in exchange for the plants she told me not to worry about it and that the plants were getting overgrown anyways. 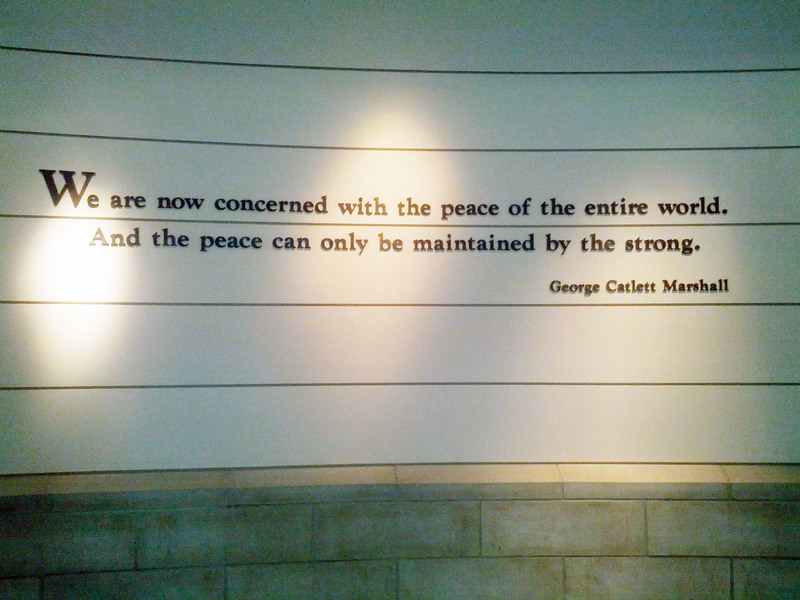 I’ve learned a few tangible things from the people of Rochester as well. Really good cheese curds squeak between your teeth when you bite down. At least three kinds of “egg bake” should be served at any respectable brunch. A “hot dish” doesn’t simply refer to a warm entree, but rather a particular kind of casserole involving multiple layers of potato, ground beef, and cream of mushroom soup. 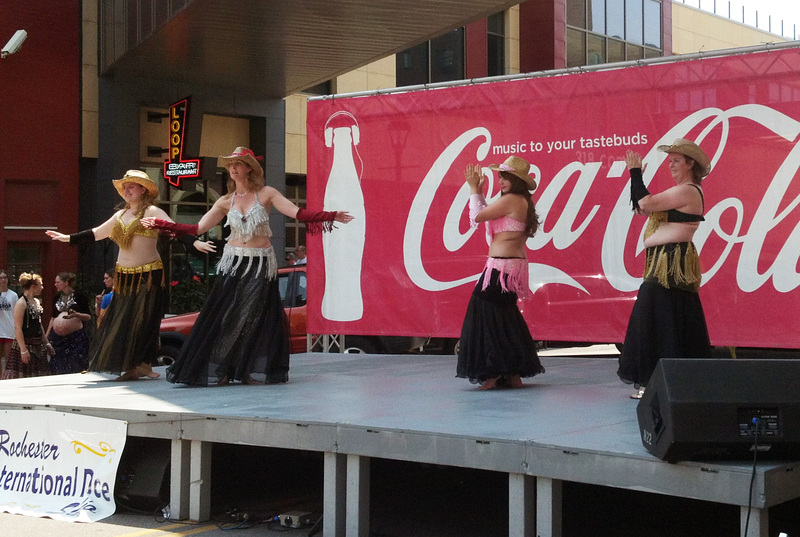 Belly-dancing cowgirls shaking their bells to the tune of Cotton Eye Joe are a legitimate form of entertainment. The last Minnesotan experience I’ll mention will be the large-scale events I’ve taken part in. 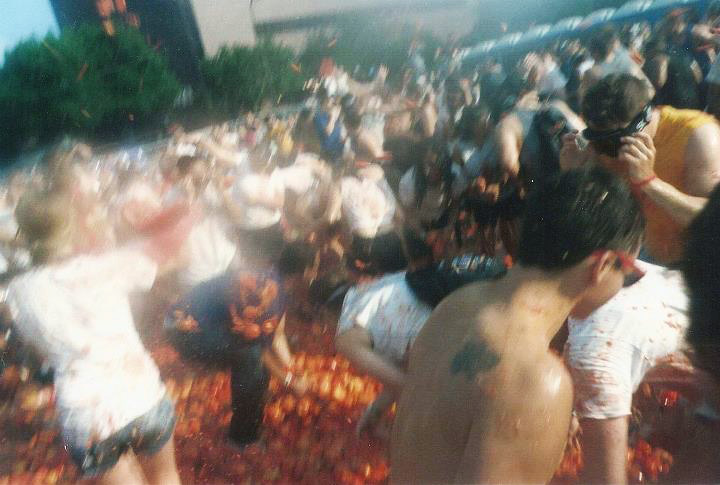 Hundreds of Minneapolites pelted me with pounds of overripe tomatoes at the Midwest Tomato Fest, a huge, street-wide food fight in the Mill City. At “Nordic Fest”, I came to appreciate the Swedish heritage of my Midwestern brethren surrounded by more blond and blue-eyed people then I’d ever seen in one place. I discovered that “Pizza farms” are not, in fact, places where magical pizza trees grow, but instead are weekly events were Minnesotans drive deep into the corn to dine on pizzas made from ingredients grown on same farmland where they spread their picnic blankets. And finally, one of my biggest life regrets will be that I was unable to attend the Midwestern Lumberjack Championships that occurred during my first week here. I knew I’d learn a lot from my professional mentors at the Mayo Clinic Center for Innovation, but I didn’t realize that the entire state of Minnesota would make sure I left with more than I came with. In the seven weeks since I started my Maharam STEAM Fellowship at the Mayo Clinic Center for Innovation, I’ve been asked that question by a lot of people. The good news is, I am finding new answers to that question every day. I am a little more than half way done with my time here, and already I’ve shadowed midwives and doctors, acted as a graphic facilitator for patients, taught med students about the importance of visual communication, and made comics illustrating brand new methods of care. That’s not even mentioning the things I’ve done outside the walls of Mayo where I’ve single-handedly eaten my first batch of fried cheese curds, admired tons of massive farm equipment proudly parading down main street, and been pelted by pounds of overripe tomatoes the at Midwest Tomato Fest. Given the nature of my outside-of-work activities, it’s impressive that my work within the clinic has been the most exciting part of these seven weeks. I began my fellowship with a more traditional illustration job. Working with the Practice Redesign team, I completed a series of images that were embedded in customized education videos intended to communicate surgical procedures to patients. These videos are part of a larger experiment that aims to rethink the outpatient experience, reduce healthcare costs by 30%, and simultaneously improve patient satisfaction. While the idea of an illustrator doing medical illustration is not surprising, I was surprised by the way my team immediately treated me as a professional illustrator. I wasn’t told what to draw and then simply sent off to a dark corner to crank it out. Instead, I read through video scripts, decided myself where and if a visual was needed, defined what that visual should be, and then created it. I’d never felt so valued in a professional setting as an illustrator. You can see a screenshot from my project here. In my third week at CFI, I joined a new team and began working with rural care delivery at the Mayo Family Clinic Kasson alongside CFI’s Community Health Transformation team. There, away from the main clinic’s tall buildings and armed with nothing but a pad of paper and box of markers, I shadowed primary care providers and developed a method of real-time conversation capture. As doctors and patients conversed, I sat with them in the exam room and charted the flow of conversation using a series of images, words, and symbols to record their interaction. These quick and dirty conversation maps or “graphic facilitations” allowed the patients to understand how recommendations came about and where decisions came from. You can see an example of one of these recorded conversations here. With that same team, I also worked to develop a series of wordless narrative comics. These comics illustrated real patient stories that exemplified the experimental Care Team approach being developed by the Community Health Transformation team. The Care Team approach pushes each medical provider to operate at their highest level of function, to work together to treat patients as a team, to increase their awareness of the social determinants of health, and through these to develop a holistic view of each patient. My team used my comics to communicate the new Care Team approach to audiences both in and out of the Mayo Clinic institution. The comics were also used to instill the importance of such new medical values within Mayo 1styear medical students’ work in conjunction with the Community Health transformation team. You can see one of my comics below. My next step at Mayo led me to the Center For Individualized Medicine. This center does not yet physically exist, but a talented group of designers and providers is hard at work imagining how such a center dedicated to patient exome sequencing will function. The process is incredibly complex, and the team asked me to find a way to visually express the nitty-gritty details of their many new concepts as well as the way that those all come together to form the big picture of the patient experience. After many hours spent trying on the shoes of the doctor, genetic counselor, and bioethicist, finally I understood the process well enough to visualize it. I then created an animation that functions as a metaphor, giving my team the freedom to verbally explain the many details of each concept, while the animation visually presents how each part fits into the larger whole. You can see a clip from my animation here. Next week, I’ll begin the final and most exciting phase of my time at CFI! Acting as the lone illustrator cutting her path through the untamed grounds of Mayo, I will start my own research/design project here to explore the role of empathy, narrative, and illustration in the clinic. It’s kind of a secret, but I’ll let you know that the entire project revolves around “unpacking” patient stories and finding visual ways to prompt realizations. So stay tuned! For an hour, we talked about the upcycling structure of the program within NYC, covering considerations such as working with the government, artists, material sources, and reaching out to other universities. The MfrA also has an eco-friendly component; Harriet informs the Sanitation Department on how much material they divert from the landfill. Projects such as MftA can influence class room learning. Through the Common Core, which many states including RI have adopted, public school teachers need to incorporate project-based learning into their lesson plans. These reuse centers provide and encourage creative reuse of unwanted materials, creating a following of teachers who constantly return back for supplies. MftA public-private entity, represents a good partnership between the government and nonprofits, ensuring that durable goods do not enter the waste stream and instead are reused. My Maharam Fellowship research has focused on effective methods for mid-sized city governments to crowdsource talent and insight around defined planning and policy issues. During the week of June 11th I was able to participate in the Cooper Hewitt Symposium on Design Education for Teachers sponsored by the Pearson Foundation a (501 c-3 focused on literacy, learning, and ‘great teaching’). Cooper Hewitt’s intent in hosting the symposium was to take great teachers from across the US and show them how to teach design education. While this seems out of the realm of City Planning and Policy, there is an incredible gap between our ability to conceptualize of cities as a system of systems that starts with education. The workshop took participants through the standard design phases from scoping to user interaction within the Harlem community. Two aspects became key-takeaways. Project based education and experiential learning. Both of which represent a larger trend in education, which when taken at a systemic scale can mean the difference between ownership and dismissal. For resident engagement to be effective, such as the UK’s opening of government data (see: http://data.gov.uk/blog/new-open-government-license), it requires ownership on the part of an individual. A process that starts with education. Speaking with Tobias Shepherd in Providence City Hall brings up the fact that the city doesn’t lack talent, it lacks systems to crowd-source talent. I have been fortunate enough to be able to bridge my work with the larger goals of STEM to STEAM education by collaborating with technologists to start initial iterations of an open city government application that will enable public officials to create defined digital spaces dedicated to a single problems. Existing methods deal in either superlatives or absolutes. Problem solving at either too granular a scale, a single pothole, a building’s energy usage, or issues too systemic to tackle from a macro level, relationships between public spending and resource utilization. 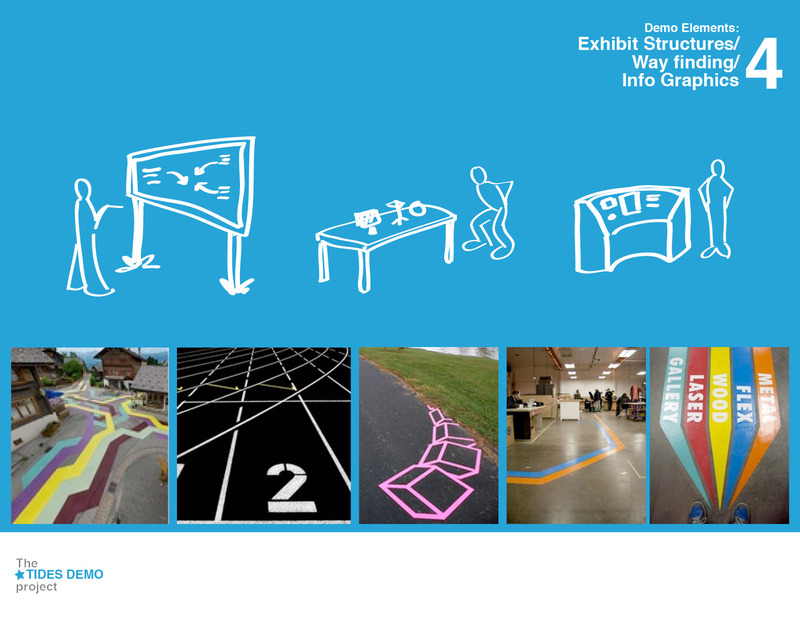 The Cooper Hewitt Symposium brought a component of design to education that effectually will result in stronger abilities to work across scales with agile tools for engagement.